Jason Derulo will be heading to the UK for a series of arena shows in September 2018. The R'n'B superstar will play shows in Belfast, Glasgow, Manchester, Cardiff, Birmingham, Wembley, Brighton and Leeds during the UK leg of his 2 Sides World Tour. 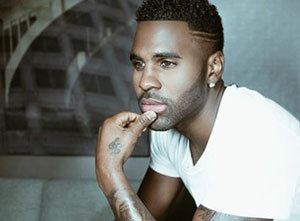 The tour was originally due to take place in March 2018, but was rescheduled as Jason Derulo finalises his upcoming album 777.